A suspect is in custody after he allegedly set fire to more than a dozen vehicles on an Edmonton street on Friday. People online are praising witnesses, including one dubbed as “Hawaiian shirt guy,” for quickly tackling the suspect to the ground before police arrived. Ross Lockwood captured four-minute video that appeared to show man in a black jacket pouring gasoline onto the hood of a passing vehicle and lighting it on fire. He later posted the footage on Reddit. “He was pouring the gasoline onto and by cars -- parked cars -- but more worrying, he poured it onto the hood of an occupied vehicle," he told The Canadian Press. 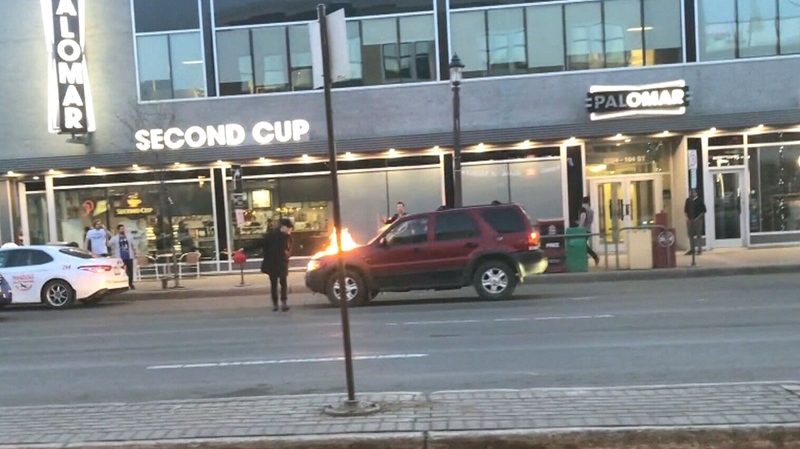 The unidentified man is then seen walking away from the vehicle into the middle of Whyte Avenue and tosses the jerry can into the air, while apparently taunting and waving at pedestrians. In total, 13 vehicles were damaged. 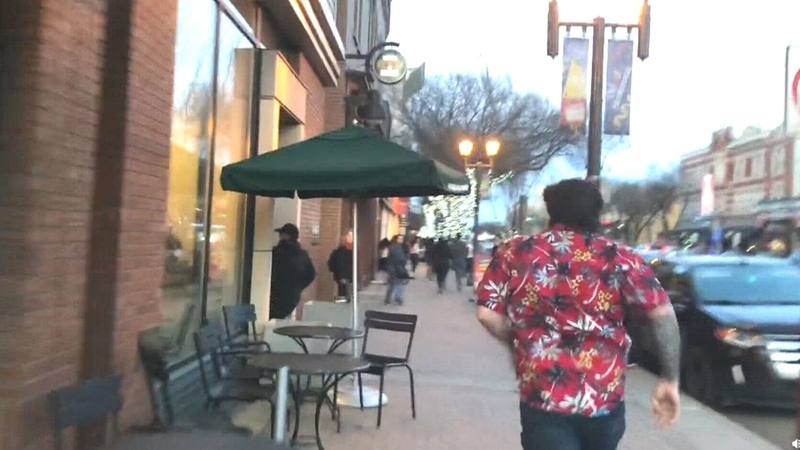 Video then shows the alleged arsonist being chased by several people into a nearby Starbucks coffee shop where he is tackled to the ground by a man in a Hawaiian shirt. The man is then pinned down before police officers arrived and arrested him. 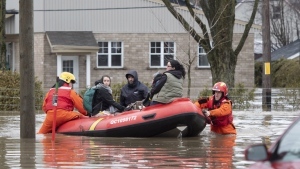 People on Twitter and Reddit have praised the onlookers for jumping in to help. Some have created memes of the takedown quoting the 2008 film “The Dark Knight”: “He’s not the hero we deserved but the hero we needed.” Lockwood had no idea who the man in the Hawaiian shirt was but thanked him for his quick thinking. Criminal charges against the alleged arsonist are pending. An Edmonton Police Service spokesperson told CTV Edmonton that no one was injured in the incident.